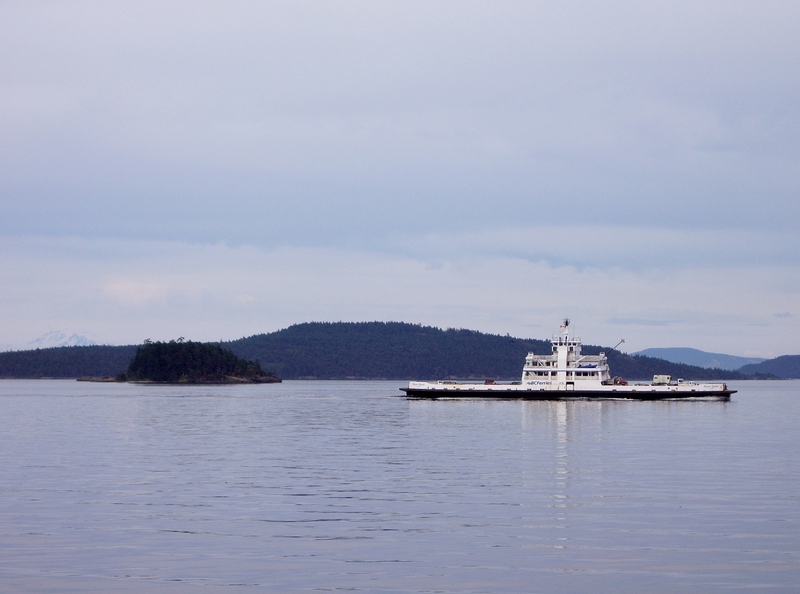 The ferry from Fulford Harbour on Salt Spring to Swartz Bay outside of Victoria takes about 35 minutes. 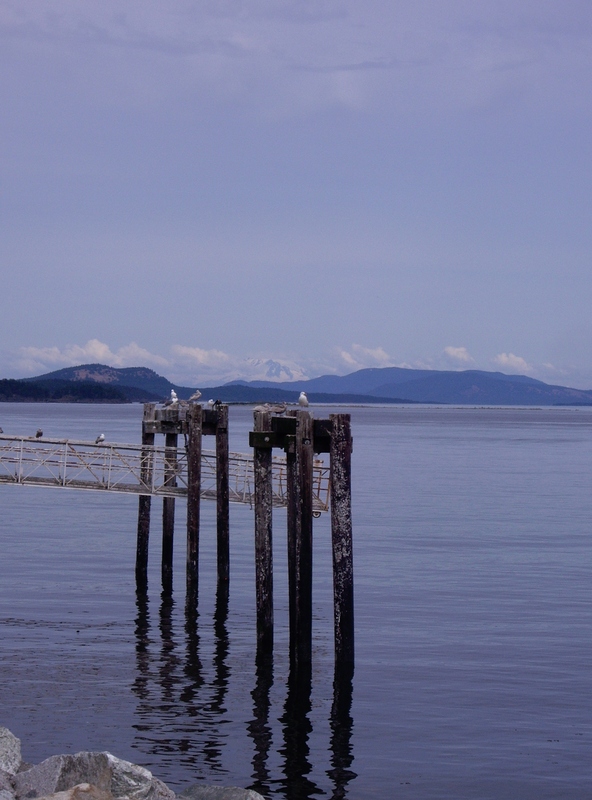 We arrive early at the Fulford ferry terminal and hop into the Rock Salt Café for a cup of superb java (Salt Spring Coffee Company on tap) and a snack of locally made pastries. The barista went to school with my nephew and cheerfully asks after the family, as many islanders are wont to do. Dad is outside sitting in the sun with an ice cream cone, in his element. We gather ourselves up and drive onto the open-deck ferry, and after the ride, head to the airport to pick up my husband. 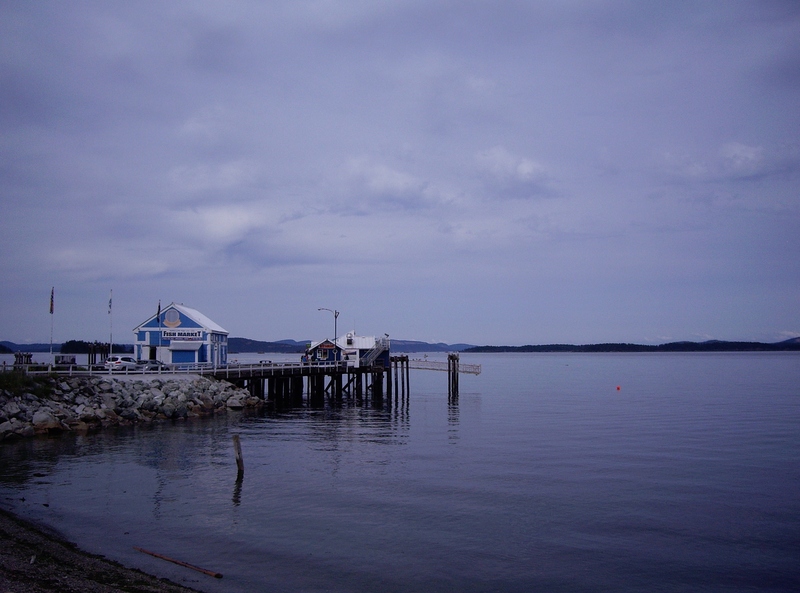 Then we are off to Sidney, a delightful little community built along the seaside facing south toward Mt. Baker. 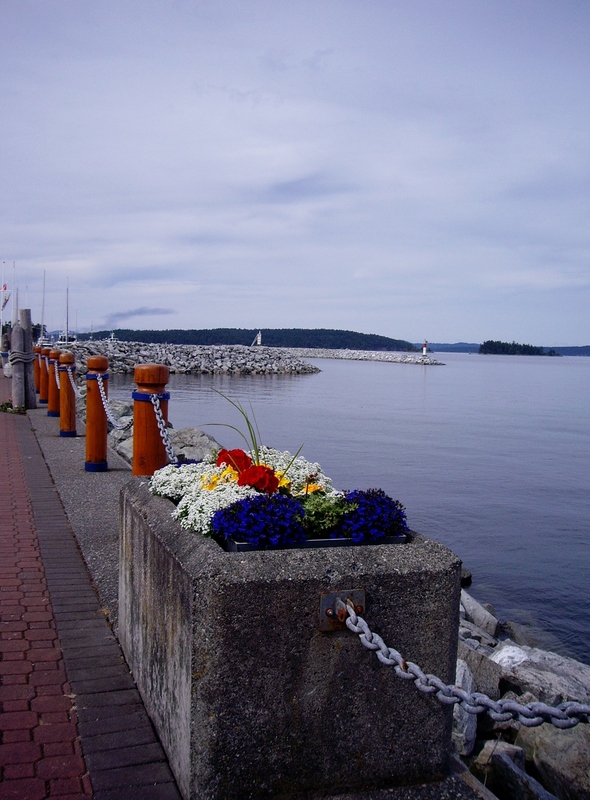 Like so many places in this part of the world, sunny days bring out the best of the scenery, and draw strollers to the waterfront walkways where cafes and restaurants abound. Sidney waterfront with Mt. Baker in the distant background. It’s fun to walk out onto the wharf, but the café is not recommended. Click on any photo to enlarge and enjoy! As we walk along the waterfront, we meet a local charmer. Charles the bulldog gave us a warm Canadian welcome and left some affectionate hairs on my pants. With a half hour to kill before meeting my nephew and his wife for dinner, the stroll continues. Flowers create a colorful contrast for the blue background. 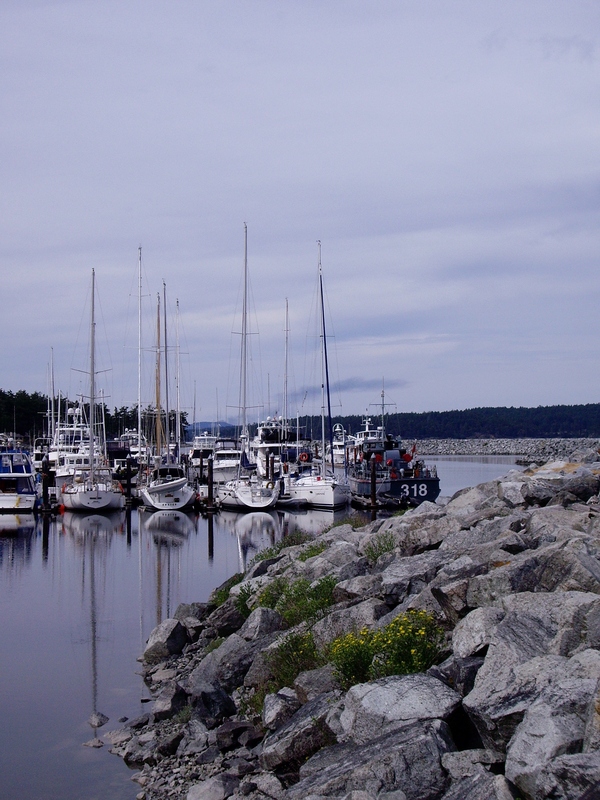 The marina is loaded with boats displaying names filled with whimsy, dreams and adventure. One small part of the marina in Sidney. We enjoy a delectable dinner at the Beacon Landing Pub, just two days before my nephew, Tyler, and his wonderful wife Jeanine head off for a month of camping through B.C. They are taking a GoPro camera so we are hoping to follow along with their posts. 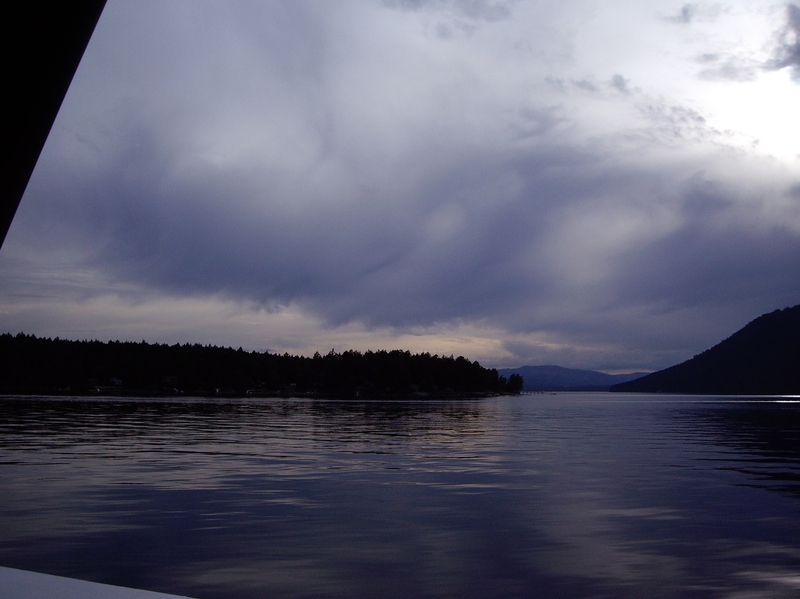 After dinner, the ferry ride home gives us more spectacular scenery to enjoy. 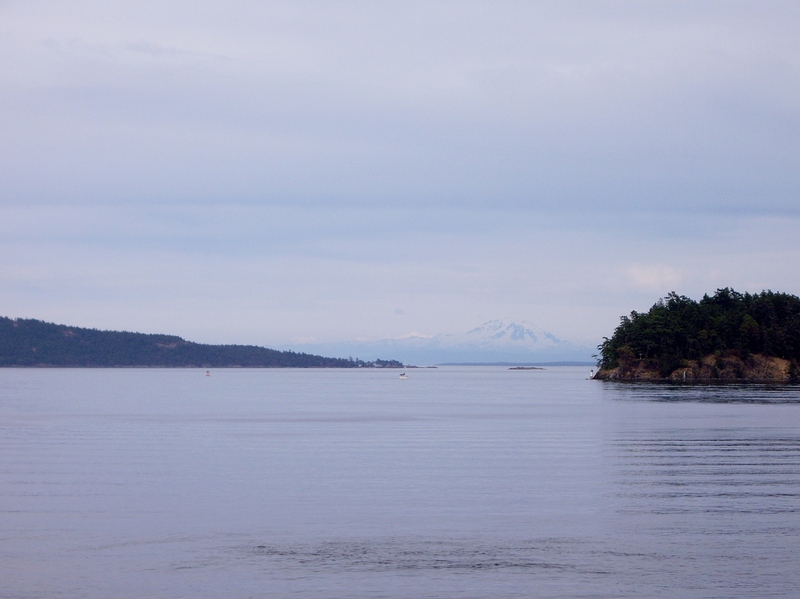 Million dollar views from the ferry to Salt Spring. Clouds bring a chill in the air and dramatic skies. Almost home, we are looking forward to a warm cup of tea as we wave at another ferry. 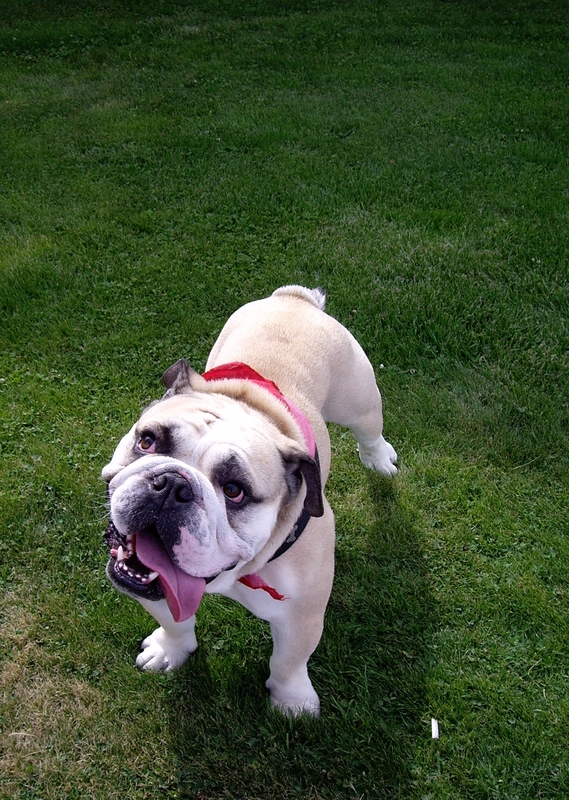 Charles the bulldog was a real charmer. I think he would look good on a boat!